This is a good time to consider converting a traditional individual retirement account into a Roth IRA. Tax rates are low but unlikely to stay that way. 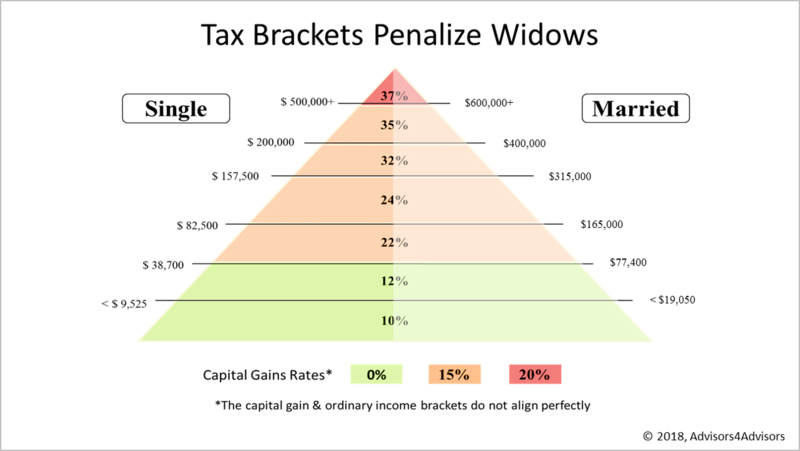 Here's a long-term strategy that takes advantage of the current tax policy and economic fundamentals - a tax-efficient retirement investment and avoids a new twist in the Tax Cut And Jobs Act that penalizes widows. The Rules. With a traditional individual retirement account (IRA), taxes on gains reinvested are deferred. An IRA grows with no taxes owed. When you retire, withdrawals are taxed as income. A Roth IRA is different. You pay income tax upfront and Uncle Sam promises tax-free withdrawals when you're retired. The Math. According to data from the non-partisan Congressional Budget Office, math will drive a surge in the $21 trillion U.S. debt starting in 2023, when interest owed on the debt accelerates, as does the risk of default. As 2023 nears, running trillion-dollar budget deficits annually becomes an increasingly untenable policy and tax rates are likely to rise. Inflation, too. Inflation has been low for many years. While it is not expected to rise sharply, the real cost of the federal debt would be reduced if inflation rises. Inflation is unlikely to work against those converting to a Roth IRA in 2018. Widow Penalty. Many surviving spouses will face a tax penalty after losing a mate under the new tax brackets enacted by the Tax Cuts And Jobs Act. For example, a couple with $170,000 of adjusted gross income is in the 24% top bracket, but after one spouse dies, the survivor would fall into the 32% bracket. Avoiding The Widow Penalty. Retired married couples converting from a traditional IRA to a Roth account can avert the widow penalty with proper planning. Since Roth accounts generate tax-free income, converting to a Roth places a surviving spouse in a lower tax bracket. For example, a couple with $170,000 of adjusted gross income (AGI) would convert from a traditional IRA to a Roth IRA, lowering their AGI to less than $157,500. If one spouse dies, the survivor would be in the 24% bracket applied to singles with up to $157,500 of adjusted gross income. Not For Everyone. Converting makes no sense unless you have cash on hand to pay the income tax on withdrawals from your traditional IRA. Paying taxes owed on a conversion by withdrawing larger amounts from a traditional IRA usually limits a nest egg's growth potential and is unwise. Tax-sensitive investing is complicated, and this simplified version of the rules and examples are only intended to encourage to plan properly because a move like this can reduce a tax bill materially and annually for a widow. We evaluate tax planning opportunities for clients. Please contact our office to talk about your personal situation or if you have any questions about this strategy.